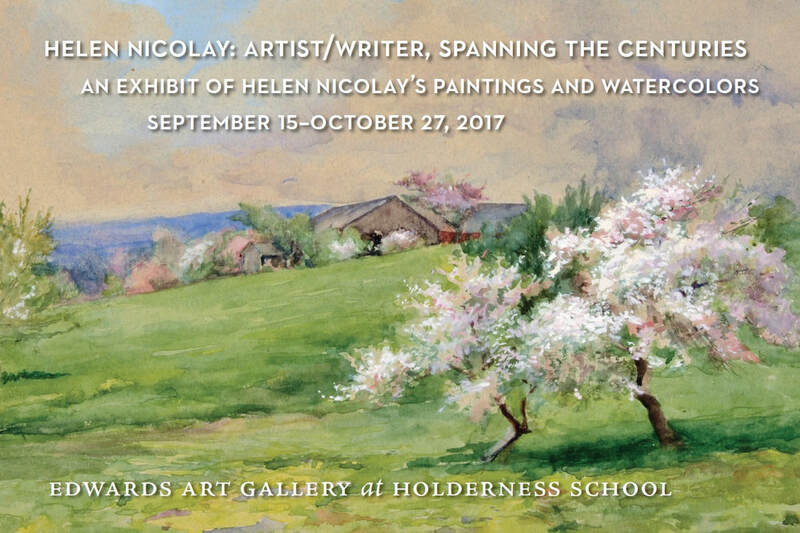 "From Lincoln's World to Holderness"
Artist and author Helen Nicolay was the daughter of President Abraham Lincoln’s secretary during the Civil War, John Nicolay. and daughter decided to make the journey to New Hampshire. a summer home, Tannenruh, just below the hotel. and speakers from Memorial Day through October 2017. "Abraham Lincoln: Behind White House Doors,"
took place on Sundays in June. John Hay and John Nicolay wrote a ten-volume biography of Lincoln, published in 1890, first serialized in "The Century Magazine." Their story is told in the recent book, "Lincoln's Boys,"
​the Newbury Public Library read and held book discussions about this book in the spring. A Visit to Tannenruh was held on July 15th thanks to the generosity of Kathryn and Mitchell Drew, the present owners of Tannenruh, John and Helen Nicholay's summer home on Shepard Hill. The event was presented by the Holderness Historical Society and the Holderness Free Library, as a fundraiser evening. which included a tour of the grounds and Helen's workshop, the first exhibition of Helen Nicolay's Holderness paintings, the display of the Drews' Nicolay and Lincoln memorabilia and a presentation by John Maguire. ​from 10 am to 2 pm. 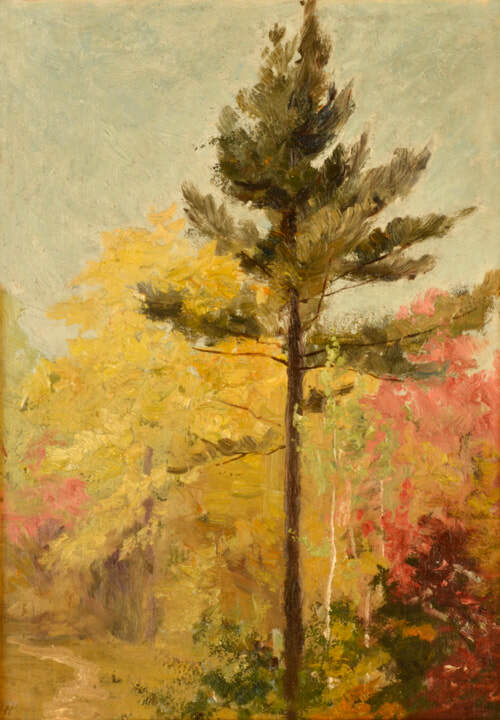 As part of "Art Inspired by Nature Series at Squam Lakes Natural Science Center,"a focus on Helen Nicolay's use of "En Plein Air" work during her travels included a demonstration of 19th century plein air painting techniques and workshops for both children and adults. artists of working from drawings and plein-air sketches and how they saw and studied nature,. then demonstrated the layered process used for their larger paintings. Lauren also shared her process as a landscape painter and how it relates to the Hudson River School. watercolor paintings, questions, observations, and poems. using sketches of birds, observations, and watercolor paintings. They also met a live bird of prey up close to sketch. The spirit and practice of plein air painting is alive in the lakes and mountains of New Hampshire. to watercolor techniques and tools.. Participants completed short exercises and began two small paintings. A Collection of Helen’s Watercolors and Oils of New Hampshire and journeys to Europe, Egypt and the American West at the turn of the 19th Century opened Friday, October 15, at the Holderness school's Edwards Art gallery.